If you are involved in a divorce, support, custody, visitation, paternity, or relocation dispute, or if you are contemplating marriage, we can help you make some of the most important decisions of your life. We offer each client extensive experience in the trial and appellate courts, a thorough knowledge of the law, common sense and good judgment. We put these attributes to work for our clients, striving to reach fair settlements in those cases which can be settled, and litigating those that cannot. Each of our partners has more than 25 years’ experience in family law matters. We handle a full range of financial and legal issues, from the basic and straightforward to the most complex (often devising solutions to resolve what may appear to be intractable problems). 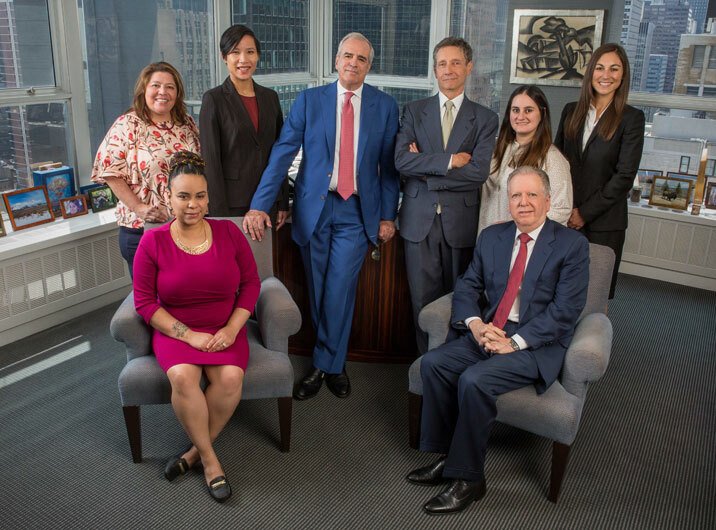 We bring to each case our passion, dedication, expertise, tenacity, and a firm-wide practice that benefits every one of our clients: In meetings held every day, we engage in wide-ranging discussions on the specific topics and issues we are confronting. We do this to provide our clients with the benefit of our collective thinking on the important issues facing them. We would want nothing less ourselves.